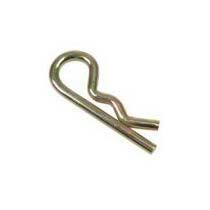 We are listed amongst the most sought after Manufacturers, Exporters and Suppliers of Hair Pins. We efficiently deliver the Standard and locking hair pins for assorted sizes of tractor linkage and hitch applications. We are customers’ most preferred choice in this domain as the offered Hair Pins are manufactured under the vigil supervision of experts. We deliver the hair pins in finest packaging material to circumvent loss.